Probably at least once a week somebody ask me, you know, how can I write a great book, or I’ve always wanted to write a book and how can I write a great book about this subject or, you know, I’ve been working on a book, how can I get it published and how can I be successful publishing a book and a lot of questions around this sort of in my life. It’s natural for us to seek out people who have been successful at something and to ask them question. What are we doing, we are looking for coaching. You see, nobody achieves excellence at anything without coaching. I say it again: nobody achieves excellence at anything without coaching. If I look at my own life and I think about all the people who have helped me in any aspect of my life, it was... very rarely was it a formal coaching relationship. It was a conversation or a series of conversations, we are talking about the things, I’m working on this or I’m struggling with this or how did you that or how did you make that happen. And coaching plays a critical, I mean, an absolute essential part in our lives. You think about when a woman has a baby for the first time, you know, what does she do, she asks other moms: What did you do about this or what did you do about that or maybe she asks her own mother or her own grandma: what’s going on here or how do I . . . It’s just part of the generational experience of humanity, that we pass knowledge along, that we pass wisdom along, that we pass KnowHow along to other people and it’s essential for excellence. You know you see people say I’m gonna do all on my own, I’m not gonna have any teammates or I’m not gonna have any coaches or whatever. What happens is mediocrity that makes silly mistakes. They make amature mistakes that never would’ve been made if there was any coach around or any experience around. One thing about the church is, the church is basically saying sometimes: don’t do these things because I want to save your from incredible suffering. You know. Don’t do these things cause I want you to avoid these horrible situations that will be painful for you. We of course don’t see it that way. Coaching is essential to excellence. Whatever you want to be excellent in your life, you need coaching, you need coaches. And of course the spiritual life is the same. Who is coaching you spiritually? Ok, and it doesn’t mean Oh I need to have a spiritual coach, maybe if you do and if you can, that’s a great thing. But it’s hard to find. And may be that your spiritual coaches do become the saint and it may be that your spiritual do become books. We have to be constantly looking for spiritual coaches, because we need them to achieve excellence in the spiritual life. 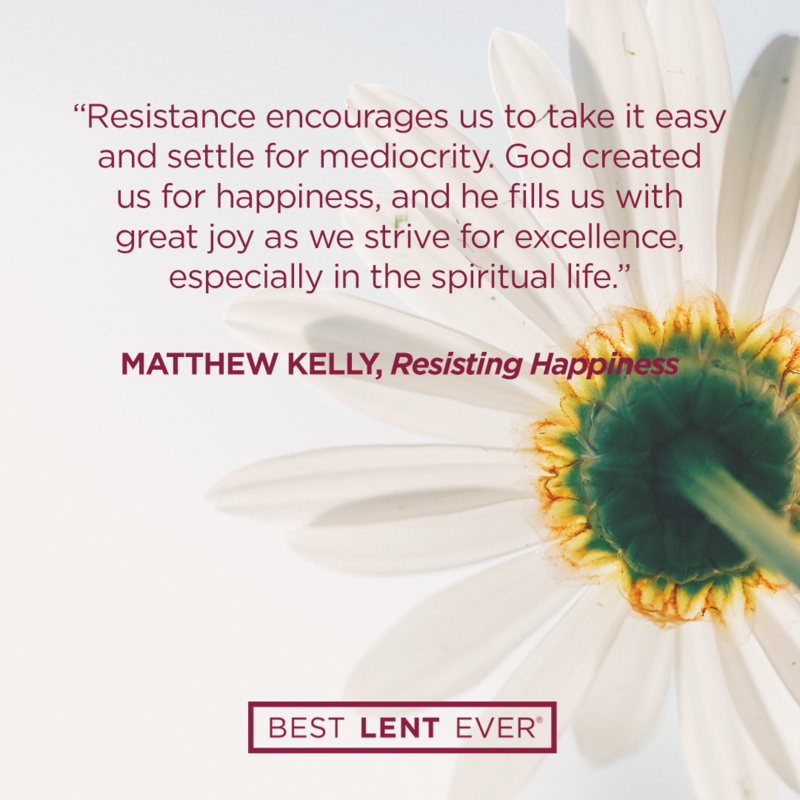 And maybe the first question is are we striving for excellence in the spiritual life or are we satisfied with mediocrity? Because as soon as we start striving for excellence, we start looking for spiritual coaches. Nobody achieves excellence at anything without spiritual coaching. Seek out a spiritual coach. God, help me to know that holiness is possible for me. Today’s personal reflection features Dynamic Catholic team member Adam Lewis. Adam is our direct mail coordinator. He comes to us from Wilmington, Ohio. Adam could eat rice and beans all day, aspires to hike the entire Appalachian Trail like John Sherman, and would probably be a winning contestant if there was a Jeopardy for Bible facts. Who has coached you in your spiritual journey?